You can keep up with how much I’m writing and how far behind the daily targets I am with this widget. Red= No writing. Yellow=Under Daily Target. Green=made or passed daily target. I will try to update my word count after each burst of writing, but since those generally happen once a day I’m not entirely sure this will be a riveting thing to follow. Soon I will be back to my normal posts here at Well Read. Coming up soon, I’ll tell you why I read The Historian by Elizabeth Kostova and why you shouldn’t. Stay tuned for my thoughts on Alyson Noel’s Radiance and the wacky vampires from Morganville, as well as Skullduggery Pleasant and a return to South Carolinian supernatural in Beautiful Darkness. November’s shaping up to be a CRAZY month! Back I go to YA fiction, but that shouldn’t be a surprise. I want to talk today about Angel, by L.A. Weatherly. I read an ARC of this book (thanks much to my colleague, Roz, for lending it!) because I needed a filler for a weekend. Honestly. Roz had been telling me at work that I HAD to read it and she thought I would LOVE it…something that usually puts me off a book immediately, regardless of who it is that is doing the pleading. I guess that’s because my taste in books is pretty eclectic…no really, I do read more than just books with pretty covers and/or the latest YA Kissy-Bitey/Growly/Floaty book that turns up in the bookshop. I promise. 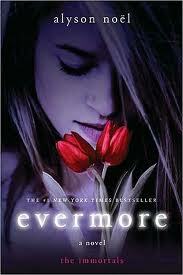 Let me start by saying this is NOT another Fallen Angel Meets Teenage Girl/Boy and Falls In Love book. Not by a longshot. 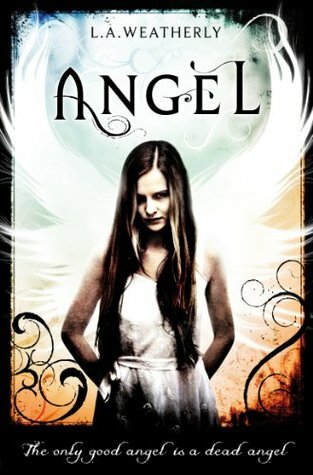 At first seeming like yet another in the constant parade of supernatural romance books for teens that we’ve seen in the wake of Twilight, Angel soon becomes something very different. Though written for teenagers, it is lacking in the misguided and immature longings for adult intimacy that plague many YA novels. While there is a romantic aspect and interest in the plot, it doesn’t subsume the rest of the story, but serves as a secondary plot that helps the primary cause along, if that makes sense? It’s hard to write a proper review of this book, really, without giving away spoilers, so I’ll tell you what I know and then take away the bits that you need to find for yourself, fair? The main characters in the book are Alex, an Angel Killer or “AK” and Willow, a girl who has grown up without the knowledge that she is half Angel. In the story world of Angel, we’re not looking at the celestial beings that sit on clouds, strum harps, and eat Philly cream cheese…we’re talking about creatures who feed on energy to survive, and have searched for a new home now that theirs can no longer sustain them. The energy rolling off humans in waves is perfect for the dietary needs of these beings, and the Angels find humans to be easy prey due to their need to “believe.” Churches of the Angels are formed and the populace flock to be touched by these beings, so that they may know the peace and love this contact brings. Peace, love, and total mental destruction, that is. So-called Angel Burn is irreversible and devastating, and is the thing from which Alex is fighting to save humanity. He was born and raised for this life and it is all he knows…until he meets Willow, half-angel yet a direct threat to the beings and their invasion of Earth. The twists and turns the plot takes weren’t new, but put together into a story took me along, breathless, for the ride. Angel is well worth a look for those fans of YA paranormal romantic fiction as well as sci-fi/fantasy readers. You have GOT to read this book. Trust me, you won’t be sorry. I want to state for the record that if I were still a teenager I’m certain I would love these books. I would be painfully shy (again) and certain to lose myself in the characters that do and say things I would never dream of doing or saying. I’d be so happy that there is another Twilight series (just with slightly different supernatural/paranormal bits) that I’d be over the moon, Blue or otherwise. However, I am an adult, and a member of that crowd that read YA/teen fiction, so I’m going to talk about this series as who I am. Sadly, who I am didn’t care for this series as much as I would have liked. If you ever see me diving from the YA/teen section toward Nicholas Sparks, you’ll know it’s because the fourth in this series, Dark Flame, has been released and I’m looking for it with a view to purchase. I’m not sure what it was that kept me reading these. I do have an OCD-like condition that forces me to finish books I’ve started unless they are just so bad that I physically can’t make myself turn the pages. The Immortals Series didn’t fall into that category, not by a longshot, but there were times when I found myself skipping over paragraphs as I read. Right, so what are these books about? Hard to tell you too much without a spoiler warning, so I’ll give you the basic idea. Ever Bloom, our main character, is involved in a car accident that not only takes the rest of her family from her (including the family dog) but grants her the ability to see auras and telepathically read thoughts. After her recovery, she is sent to live with her aunt Sabine, who was her father’s twin sister, in California. She can hear other people’s thoughts all the time, and drowns out the noise with her iPod. The noise is worse if she makes physical contact, so she tends to wear heavy hooded sweatshirts (that also hide the constant iPod use) and avoid people. Her life is turned upside down with the arrival of Damen at her new high school. Damen is glamorous and handsome. He drives a fancy car and has girls wilting in his wake. But he only seems to have eyes for Ever. Could it be that they’ve met before? 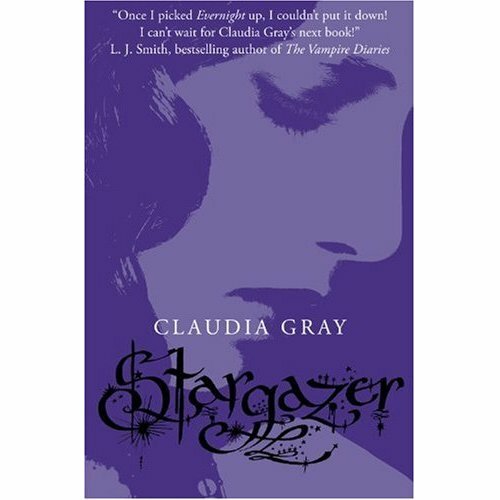 Seriously, there are tons of Twilight similarities in this book. Ever is clumsy and self-loathing, like Bella. Damen is sharp, handsome, and mysterious like Edward. They see each other across a parking lot and BAM, love. Sound familiar? But if you dig a bit deeper, you’ll see that this story really wasn’t new when Ms. Meyer created Bella and Edward. What about Heathcliff and Catherine? Remember Romeo and Juliet? With that in mind I really can’t fault Ms. Noel for the plot. It has stood the test of time and is a guaranteed draw for the YA/teen crowd. 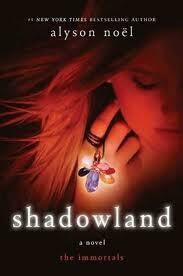 I like the twist about who is whose soul mate that surfaces in Shadowland. 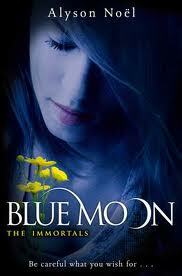 To be honest, I think that Blue Moon was modeled (as far as Ever’s story is concerned) on New Moon. Interference beyond the control of Ever and Damen drives them apart in the second book, but to Ms. Noel’s credit Ever does not completely shut down like Bella did in New Moon. She works through the problem as best she can, which I think is part of the reason I stuck with these novels. Ever, for all her faults, is just more believable to me as a teenage girl than some other current heroines. The storyline has been there and done that, and some of the things that happen in the book (supernaturally speaking) don’t have enough explanation to suit my 30-something mind…but again, that’s why they are aimed at a younger audience. 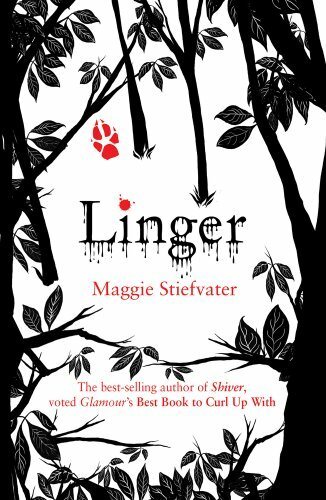 If you really liked Twilight, if you’re on Team Whomever, if you are a teenager for real or in your mind and want a book to get lost in, this is a good series to choose. Well written? In parts. Irritatingly maudlin? In parts. Totally YA? You betcha. Start with what you know, right? Lately my reading tastes have leaned toward what one of my colleagues at the shop calls “Kissy-Bitey” books, i.e. those that have characters who are vampires. I think you can figure out what’s kissy and what’s bitey. The first foray into this sub-genre for me, as for many of us adults that now frequent the YA or teen sections in bookstores and libraries, was the Twilight saga by Stephenie Meyer. By the way, may I just take a minute to address those adults in question: There is nothing wrong with getting your books from the YA/Teen section. 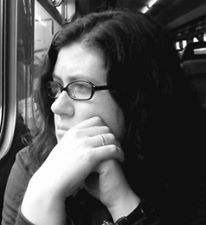 A lot of fiction aimed at kids aged 13-21 these days is very well written and worth a look, so stop pretending you were really browsing the tail end of adult fiction or catapult yourself toward sci-fi when someone catches you standing in front of the likes of the aformentioned Ms. Meyer. Right, so back to the review. Evernight is the first book in this series (which at this point has three books but I understand will have six by the conclusion). While I feared the worst when I picked this series up, it completely surprised me with its depth of characters and realistic teenage dialogue. Veering off sharply from what seems to be the prescription for a best seller in the Kissy-Bitey category (girl moves to new school, girl meets fascinating boy, one of them is a vampire and BAM, unrequited love), the focus of the first book is on Evernight Academy where Bianca (who, she explains, was named for a Shakespearean character, a bonus point in my geeky book!) is to begin school in the fall. There is a very sweet relationship between Bianca and her parents, which breaks rule number two of the current trend toward angst-ridden vampire loving teenagers. I found myself torn in several places in the novel between cheering for her to go back to her parents (who turn out to be vampires, sorry if that’s a spoiler but it’s not that hard to figure out) or hoping she will run off with Lucas, the mysterious guy who starts off trying to save her from herself and ends up being the only one that can save her at all. Hourglass was the most frustrating of the three books in this series for me, but it was a good kind of frustrating. Unlike other series where the story is neatly wrapped up in a bow at the end, I wasn’t exactly thrilled with where the story ended up by the last page of the book. I don’t want to give too much away, but big changes happen for Bianca, Lucas, Balthazar and some of the others, starting with a fire at the school and including some time on the run for Bianca and Lucas with a gang of vampire hunters called Black Cross. I think the fact that I was so frustrated by the book was a good sign because I came to really care about the characters, so much so even that I was outraged by the ending. But the good thing is that there is another one in the works called Afterlife, due out in March of next year. If only I can wait that long. Fans of other Kissy-Bitey teen fiction will like this series, I think, if they can hang in there past the first bits of Evernight. As I am finding is the case with a lot of YA/teen fiction, the beginning of the book is slow going but I promise you won’t regret it.